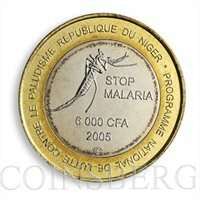 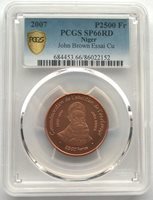 Niger 2007 John Brown 2500 Francs PCGS Essai Coin,Rare! 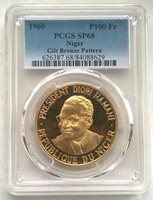 Niger 1960 Diori Hamani 100 Fr PCGS SP68 Gold Plated Pattern Coin,Very Rare! 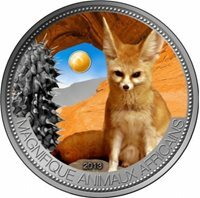 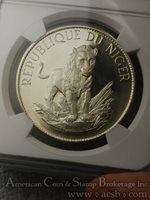 2015 Niger, 2 oz Silver Mammoth Coin with real Mammoth Tusk! 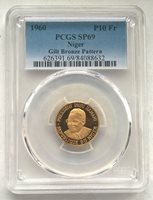 Only 975! 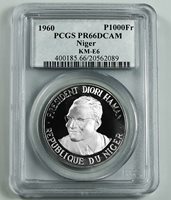 Niger 1960 Diori Hamani 10 Fr PCGS SP69 Gold Plated Pattern Coin,Very Rare!